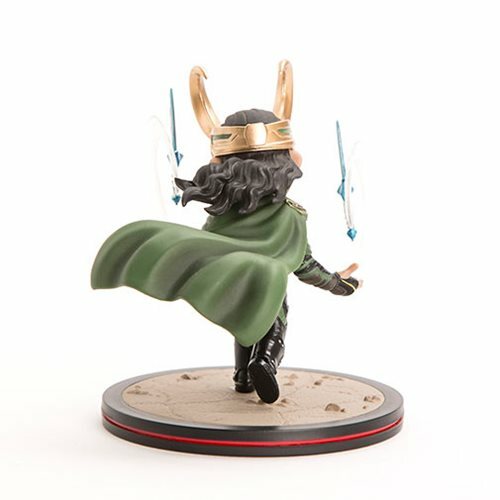 Quantum Mechanix presents the God of Mischief in this dynamic Q-Fig! 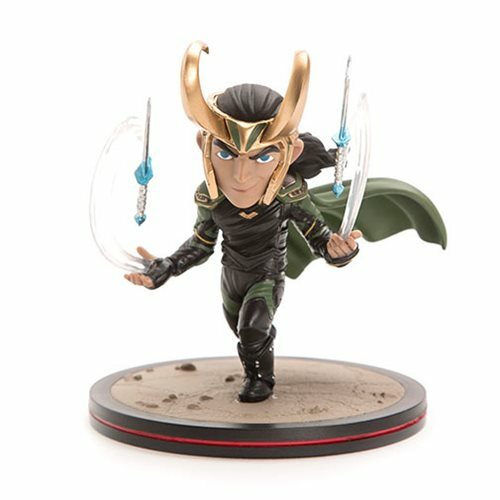 Measuring about 4 3/4-inches tall, Loki is armed with his blades spinning in mid air. Based on his look from the film Thor: Ragnarok, Loki is ready to fight against Hela! 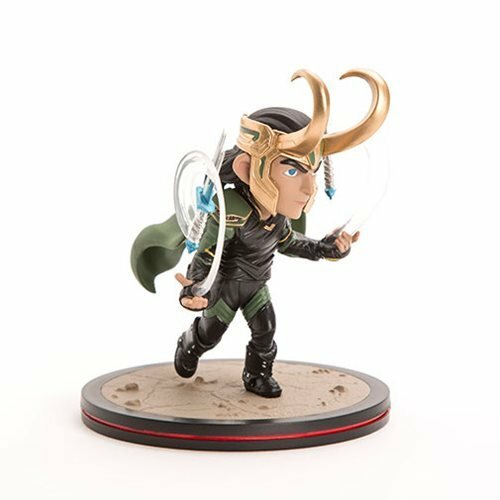 The Thor: Ragnarok Loki Q-Fig Figure comes safely packaged in a window box. Ages 14 and up. Made in China.